Clive James on the benefits of box sets, boxer Joe Joyce on the joy of painting, conductor Marin Alsop brings a touch of Brazil to the Proms, Hunter Davies remembers the Beatles. Olympic silver medallist, super heavyweight boxer Joe Joyce describes his love of art and how painting one of his massive canvases takes as much energy as several rounds in the boxing ring. Conductor Marin Alsop, who made history as the first woman to conduct the last night of the Proms in 2012, talks about bringing a touch of Brazil to the Royal Albert Hall as she conducts the São Paulo Symphony Orchestra in two South American themed Proms this week. Hunter Davies is known as "the man who really knew the Beatles". As the band's only authorised biographer, he sat in on recordings of Sgt. Pepper's Lonely Hearts Club Band, witnessed John and Paul collaborate on songs, and collected millions of pounds worth of memorabilia (which is now in the British Museum). His latest book is an encyclopaedia full of facts and (unusually) opinions which may please and irritate fans equally . He explains why. 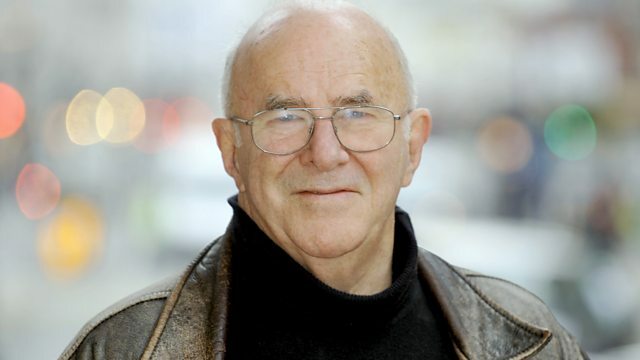 Author, TV critic, and broadcaster Clive James, as well as writing poems and translating Dante, continues to watch television with a critical eye. He discusses his passion for box sets and the benefits that this longer television format offers actors and viewers alike. Marin Alsop is conducting Proms 51 and 52 on 24 August 2016. Prom 51 features the Sao Paulo Symphony Orchestra playing Grieg, Villa-Lobos and Rachmaninov, and can be heard on BBC Radio 3 at 7.00pm; and seen on BBC 4 at 10.00pm. Prom 52, a late night prom, features the Sao Paulo Jazz Symphony Orchestra playing Brazilian popular music, and is on BBC Radio 3 at 10.15pm, and is on the Red Button and the iPlayer from 25 August 2016. The Beatles Book by Hunter Davies is published on September 2016 by Ebury Press. Clive James' new book Play All will be published by Yale University Press on 30 August 2016.